The evolution of fun! Jester is the Jokesaurus that can’t wait to make you laugh! His nose sensors detect movement and help him sniff out fun! Using True Balance Technology™, Jester perfectly balances while roaming freely around your home! Zoomer Dino Jester is a little different than Zoomer and Zoomer Kitty. Zoomer Dino Jester comes with a remote control, which is something that Zoomer and Zoomer Kitty did not have. 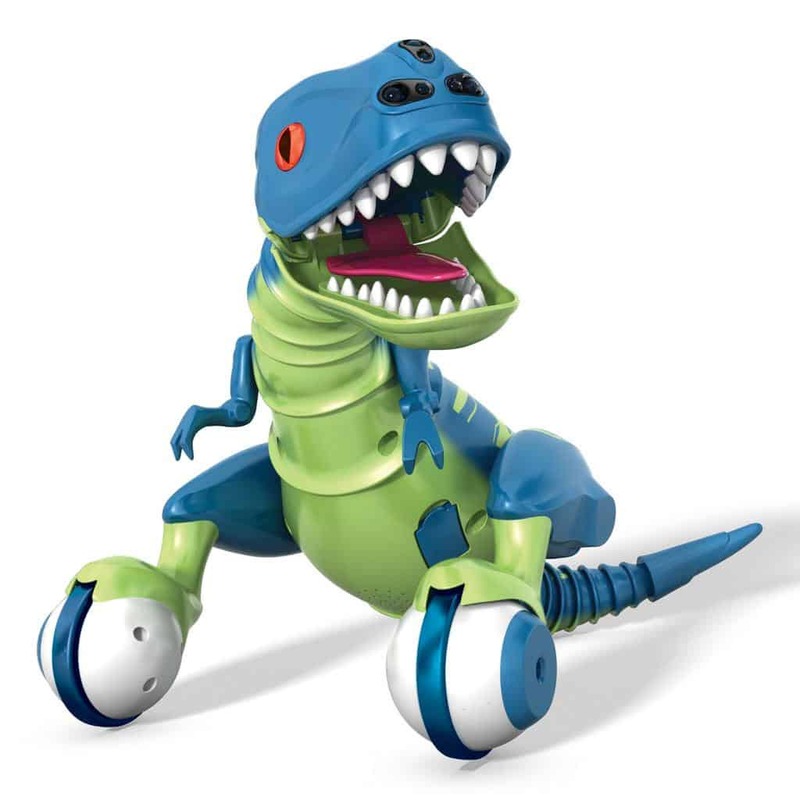 Like all the other Zoomer products, there are a number of Zoomer Dinos. It appears that each Zoomer Dino has their own “personality” and our Jester is quite the silly Dino. After all, Jester is a Jokesaurus so you can imagine that he likes to make you giggle. Zoomer Dino Jester is about the same size as Zoomer. Here is our Zoomer and Jester side by side so you can see the size comparison. 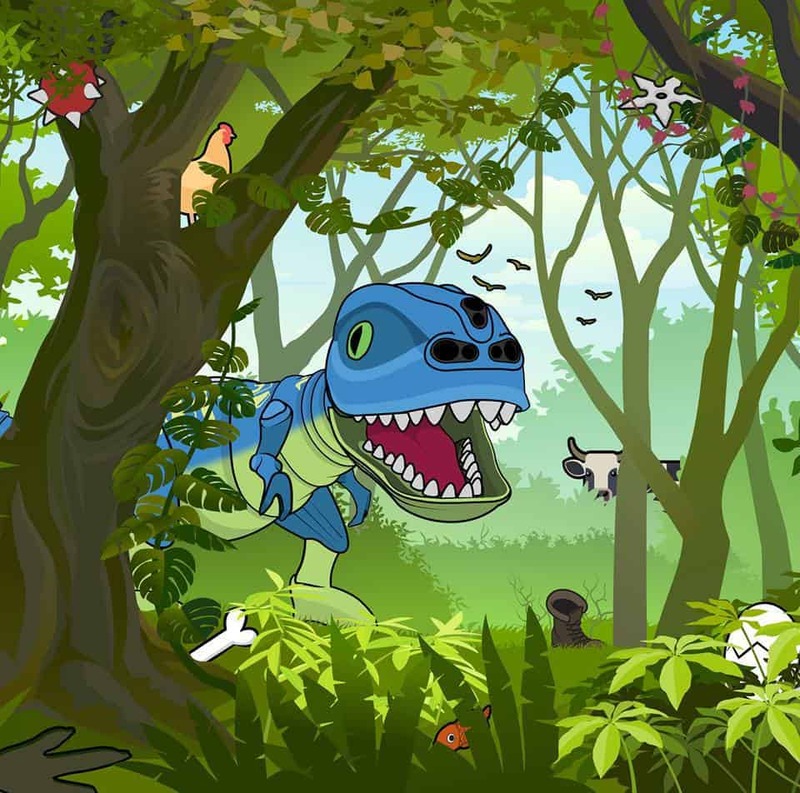 Check out this awesome video of Zoomer Dino Jester to get an idea of the fun to be had with this giggling Jokesaurus. As with all Zoomer products, we think that they are pretty amazing and love Jester, our silly little Dino. I like the remote that comes with Jester as well. I always recommend with Zoomer products that you take a look at purchasing their wall charger as I am not a fan of charging them by way of a USB to my laptop. 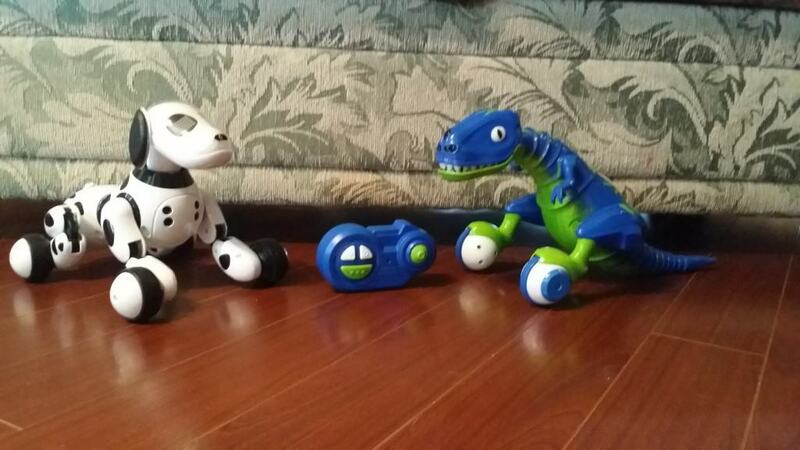 If you have a Dino fan in your house, then I recommend that you check out Zoomer Dinos especially Jester.